There are many reasons people might replace the roof on their house. Sometimes folks just need a change of scenery. Maybe your roof is nine years old, and you’re not exactly sure about how long it’s supposed to last, or even if the warranty isn’t good anymore. Maybe it’s something more. 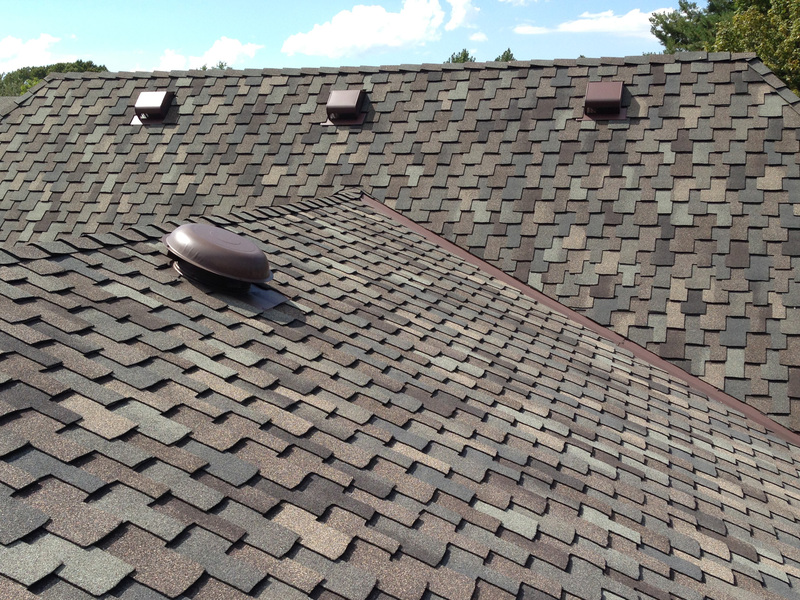 Let’s explore the possibilities why you may need a new roof. Here are a few tips you can use to best determine what’s going on up there. Moss thrives in cool, moist places without much sunlight and grows in a variety of forms. It could fall from a nearby tree, and you might not look up there too often to notice the rather huge clumps of fluffy gray sitting up there holding moisture and bugs, causing your shingles to deteriorate. You may see it come in green and yellow, growing out from under the shingles right there on top, taunting you. All you can do is sweep it off and see if it grows back. If it does, there will be no end until you replace the shingles. However, if everything looks relatively okay and all you see are a bunch of dark, splotchy streaks, then it’s only airborne algae. You can take care of it by spraying the entire roof with a 50/50 mix of water and bleach. Ultimately, the ideal way to go about this is to use a hand sprayer or a very low-pressure system to avoid unnecessary harm to your shingles. Water can travel down the inside of the roof to its lowest spot before it drips, meaning if you have a leak you could find out much later because you’re simply not seeing it leak inside. 5 Ash Roofing LLC said, “An undetected leak will cause mold and soft spots for you to find quite suddenly when you least expect it.” If you walk around slowly on the roof and there’s a soft-spot, you will feel it. Not feeling any soft spots only ensures there isn’t any rot, yet. Before popping the cork, you should also check your attic for dampness and small clusters of black mold on a normal basis to save yourself larger issues in the future. Mold, fungus, and bacteria can develop within 1-2 days after a water-related problem. It’s best to look under the shingles during a warm day. The sun’s heat makes the tar more flexible, letting them mend more easily back into place after you’ve checked a few. It will help to check uniformly every few feet or so and please be sure to inspect the ridge carefully. Of course, we’ve saved the most obvious for last. If you go inside your attic and have light without the use of electricity, sorry to say you need a new roof. If possible, it’s always useful to inspect spaces between rafters and to remove any limbs and leaf build-up as soon as you can. To be on the safe side, keep an eye on any water stains on ceilings. If they grow, follow the above steps to pinpoint the location or have a professional take a look. For information regarding safety and quality air control while your home is under construction, visit OSHA.